We are a premier of Water Activities in Cancun, our primary goal is to provide the best care and quality services to its customers. Living an adventure, a romance, or to enjoy the tranquility of the Caribbean with the professional assistance of our team working to give them the most complete service. 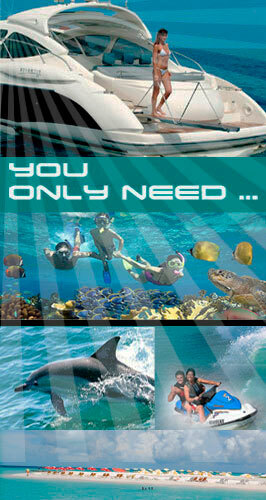 To do, a complete vacation with watersportsincancun! Sail away in a sophisticated Luxury Catamaran and join Isla Mujeres with a complete service and water sports aboard, open bar, Buffet, spinnaker and more activities on the way, the most popular water tours in cancun with a professional crew that will make the unforgettable moments of your holiday. Private and exclusive service onboard on one of our luxury yachts in cancun, our complementary tour include snorkeling in different places of Isla Mujeres, swim in a passive beach area, cruise at the bahia and discover the beautiful nature. 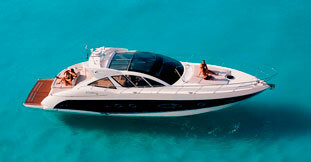 Our company is settled in our Selected Marina Lagoon. It was founded in January 2003 with a purpose in mind: to create a Yachts and activities, where you and your family may experience cruising across the Mexican Caribbean on an exclusive yachts or vessels. Our luxurious yachts are innovative in performance and design, finely decorated with exclusive furniture and selective materials. Cancun, has the best places for aquatic tours either in the lagoon or the Caribbean sea, our professional team will surprise the water activities with the most complete activities making your vacation an unforgettable fun. Come and sail in Cancun, Explore the deep of the sea, diving, snorkleing, swimming or relaxing with certified crew in the M.U.S.A. park. We have the complete list of luxury yacht rentals for an adventure, a romance, or to enjoy the tranquility of the Mexican Caribbean with the professional assistance of captains and sailors working to give them the most complete service. All of them are equipped with widely spaced cabins, TV sets of plasma flat screen, spectacular audio system, kitchen and extra accessories. These details are carefully planned for your personal enjoyment and family to ensure a safe and comfortable journey. The crew is pleased to provide the best cruising, since our yachts are fully suited for fishing, snorkeling or just relaxing. Do not wait any longer and chart your own course for adventure, romance, or tranquility across the Mexican Caribbean under the professional guidance of captains and crew members working for you in our Exclusive WaterSports In Cancun. 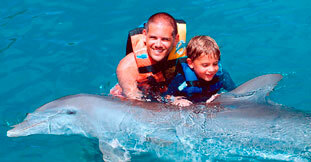 Be our own captain in a funny speed boat in our most longer jungle tour in Cancun and more fun activities. 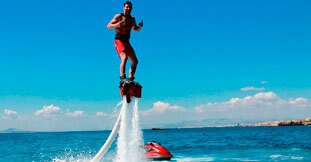 Have fun learning the flyboard, ride a waverunner, go away and have an adventure tour to Isla Mujeres. Depending on your need for entertainment, our fleet provides besides luxury yachts, express cruisers, fishing boats and speedboats. 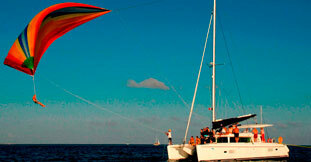 Join a full day in one of our luxury yachts with the most complete activities in cancun and isla mujeres. Snorkeling on different reef areas, swimming with the dolphins, explore diving, swimming with the whale shark, catch a fish, fly with our flyboard, ride a waverunner or if you prefer swimming and relaxing on a passive beach club area, cruising at the bahia with a perfect sight of the sunset on the way back to our Marina.